Hollywood is mourning the death of a beloved actor. E! 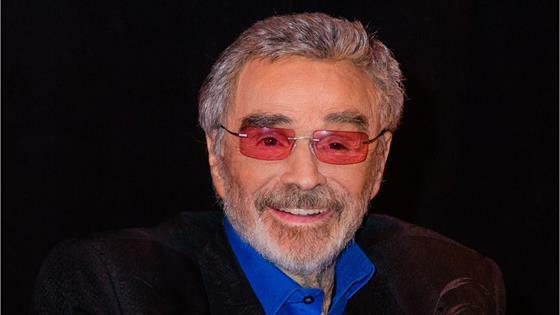 News has learned Burt Reynolds passed away Thursday morning after he went into cardiac arrest. He was 82. Burt made a name for himself in Hollywood with his various roles on the big and small screen. After appearing in TV shows such as Dan August and Gun Smoke, Burt went on to star in The Longest Yard, Smokey and the Bandit and Boogie Nights where he earned an Oscar nomination. "I always wanted to experience everything and go down swinging," he once wrote in his memoir appropriately titled But Enough About Me: A Memoir. "Well, so far, so good. I know I'm old, but I feel young. And there's one thing they can never take away: Nobody had more fun than I did." That fun started at a young age where he grew up in Florida. After playing football in high school and part of college, he suffered an injury that led him to the arts. After a few appearances on both Broadway and television, Burt was off to Hollywood where he manned the wheel as Ben Frazer on Riverboat. As the years went by, more and more projects came up that impressed both fans and critics. In fact, he was Hollywood's top-grossing star every year from 1978 through 1982. "If I had to put only one of my movies in a time capsule, it would be Deliverance," Burt once wrote in his book. "I don't know if it's the best acting I've done, but it's the best movie I've ever been in. It proved I could act, not only to the public but me." In addition to his Best Actor in a Supporting Role Oscar nomination in 1998, Burt was able to win an Emmy and Golden Globe award for his role in Evening Shade. And most recently, he was working on various upcoming projects including the movies Defining Moments and Once Upon a Time in Hollywood with Brad Pitt and Leonardo DiCaprio. In fact, his niece shared that her uncle "was looking forward to working with Quentin Tarantino and the amazing cast." "I want to thank all of his amazing fans who have always supported and cheered him on, through all of the hills and valleys of his life and career," the family statement said. "My family and I appreciate the outpouring of love for my uncle, and I ask that everyone please respect our family's privacy at this very difficult time." Our thoughts and prayers go out to Burt's family during this difficult time.